Select as many items as you like by clicking "Add to Cart." Once you've finished shopping, click the "View Cart" button to complete your order via PayPal's secure server. You can contact ERDG by email or phone (302-236-5383) to place your order and pay by check. 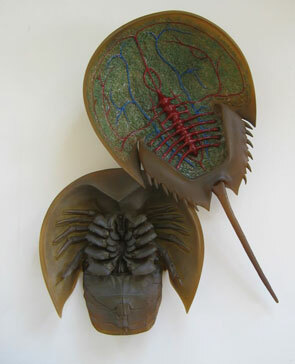 ERDG develops the world's first life sized female horseshoe crab model for the education professional. 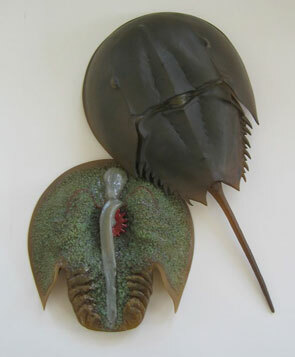 Our museum grade model is cast in durable resin and hand painted. Complete in every detail. The top separates from the bottom to reveal the internal organs, egg distribution and circulatory system. $650. plus $15 shipping within the continental U.S.